Hands down the most popular okra. This 1939 All-America Selections winner is still the most popular variety on the market. The vigorous, 4-ft. high plants produce an abundance of dark green, grooved pods without spines. Best picked when 2.5 to 3" long. GARDEN HINTS: Soak seed in warm water overnight to speed germination. Pick pods young, while still tender. Pods are excellent for use in soups, stews and relishes. 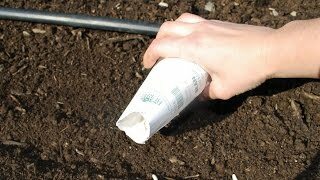 Sow okra seeds in full sun and average, well-worked soil after danger of frost. Grow okra in a different place every year to avoid problems with pests and diseases. Plant 3-4 seeds every 12 inches in rows 36 inches apart. Cover with 1 inch of fine soil. Seedlings should emerge in 14-21 days. Thin to strongest seedling per group when plants are 1-2 inches high. Pick young okra pods that are 2-3 inches long and harvest them every other day to encourage continuous production. Cut the pods from the stem just above the cap. Store pods for several days in the refrigerator in a plastic bag. Okra pods are delicious steamed, in soups and fried. Okra may also be stored blanched and frozen. Okra, Clemson Spineless Organic is rated 3.7 out of 5 by 3. Rated 1 out of 5 by Joe G from Curious early wilt & death After initial vigorous growth in both garden & raised bed all okra plants wilted and eventually died. Production minimal. Rated 5 out of 5 by Dancintex from Seeds produced every nice plants I purchased these a little late but was able to get a wonderful crop. Rated 5 out of 5 by ZiggyWStardust from Profilic! Got loads of okra and the pods were tasty even when they got a little too big. The plants were really tall! But could bend easily so I could pick the ones at the top. Next year will try cutting off the top and see if they branch.